During those hot summer days, residents of Alpharetta, GA look forward to the comforts of their air conditioned home. Unfortunately, some homeowners will return to their house to be greeted by a broken AC unit. With the high temperatures we see here in our state, we rely on our air conditioners all summer long. Local residents need a reliable HVAC Company in they can count on when their equipment malfunctions. When a problem like this arises, it’s time to call the AC repair Alpharetta GA experts, Cool Masters Heating and Air Conditioning! Cool Masters can handle all of your air conditioning repair services. We are licensed, insured and ready to fix your equipment right away! Our AC technicians are capable of handling all types of problems no matter how big or small they may be. Need some maintenance to ensure your system is running properly? No problem. Want an upgrade from your current equipment? We have you covered! Our staff will quickly report to your home or office ready to provide you with your service. We understand the inconvenience of broken HVAC equipment. We do everything in our power to get your air conditioner running properly again. With years of experience serving the Fulton County area, our Alpharetta AC repair technicians have the experience needed to make even the most complex repairs. 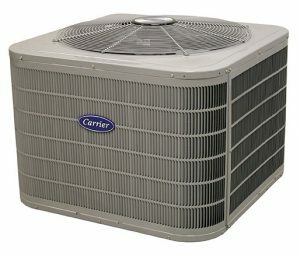 From condenser coils and compressors to fans and thermostat sensors, we have all your needs covered. While some companies simply see customers as a source of income, we treat each client like a friend. From your initial phone conversation to the service call you will see how Cool Masters always goes the extra mile in each facet of our service. Anytime you need AC repair in Alpharetta GA, call the local experts at Cool Masters Heating and Air. If you have any questions or concerns, feel free to contact us! Our staff is standing by ready to answer any of your questions. Escape the dreaded heat and enjoy your comfortable home today! Located in Fulton County, Alpharetta, Georgia is a wonderful place to live. The city is home to a variety of attractions ranging from county clubs and golf courses to the Verizion Wireless Amphitheatre. With a population of 57,000, Alpharetta is a growing city with a lot to offer.